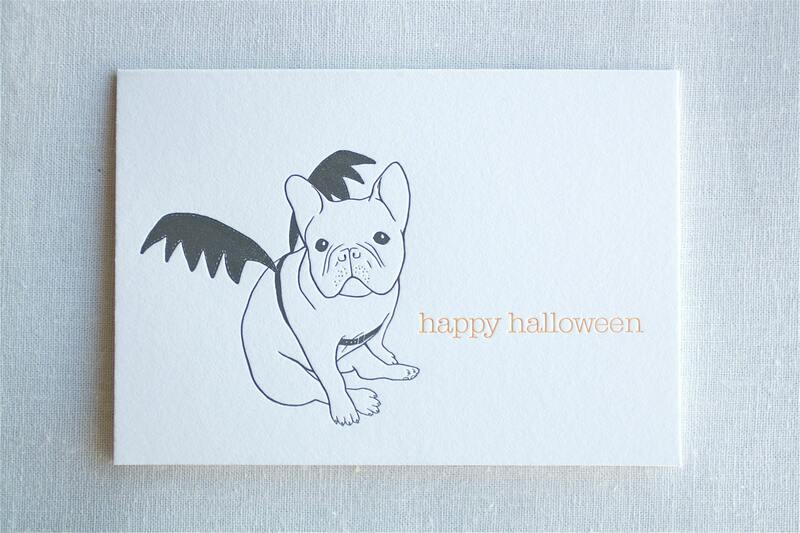 I’ve been a fan of FatBunnyPress‘ Frenchie-adorned letter pressed cards for a while (see ‘Fat Bunnies and Frenchies‘), and was beyond-stoked when Eva, the mastermind behind FBP, told me about their halloween addition to their collection – a truly bat-ified French Bulldog! Batpig & Me are more psyched than ever for howl-o-ween! 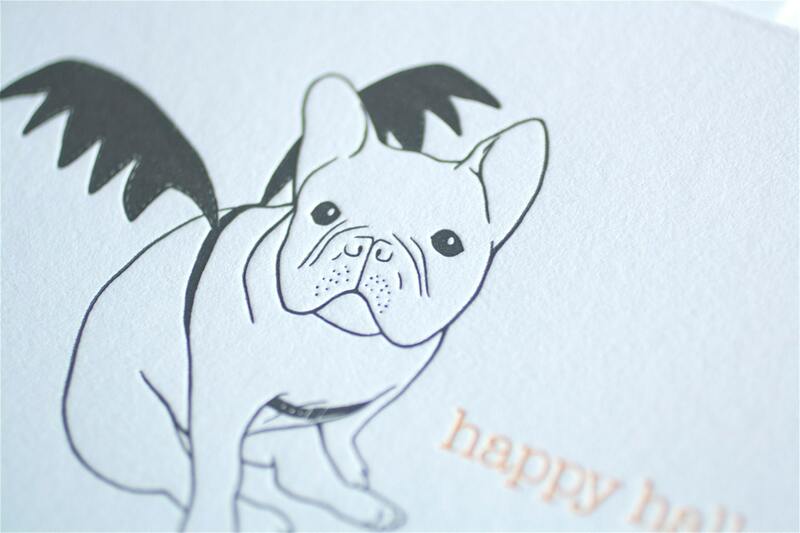 This little French Bulldog is all dressed up for Halloween in his homemade bat costume!Boxed set includes six, two color, letterpress cards, that read “Happy Halloween” on the front.Each card measures 3.5” x 5”, is folded, and blank inside. Printed using Crane and Co.’s Lettra paper on a Heidelberg Windmill press. Comes with matching white envelopes in a clear box. Halloween French Bulldog Letterpress Card by FatBunnyPress. 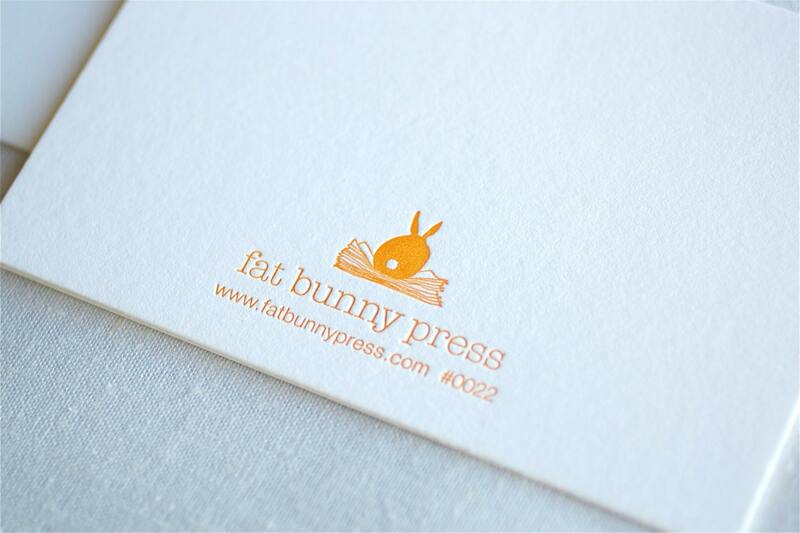 Fat Bunny Press specializes in uniquely cute letterpress cards. Every item is designed and hand printed by Eva Hamden in San Francisco, California.